On Friday, March 1, we hosted a reception in honour of our 2018-2019 Borealis AI Fellowship winners. Our fellows span the country from universities across British Columbia, Alberta, Ontario and Quebec. 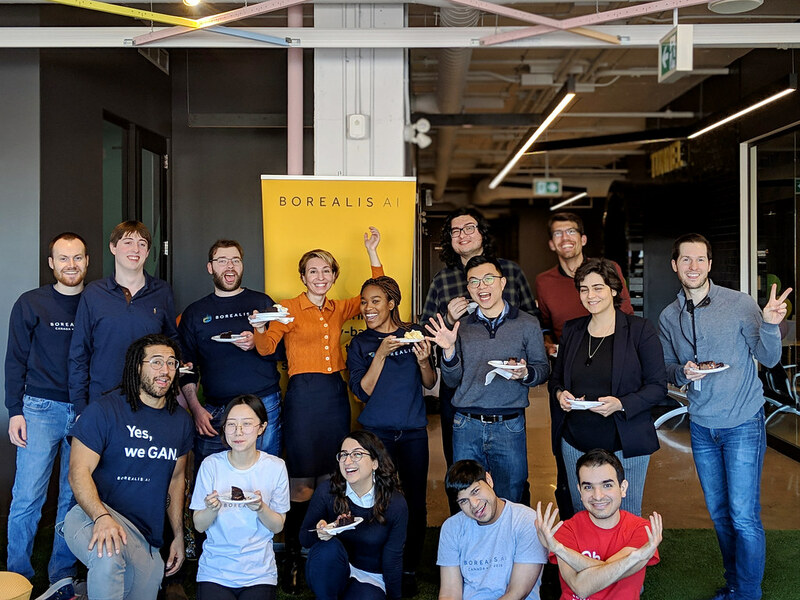 We were thrilled that so many flew in to attend our ceremony, which gave us a chance to congratulate our new fellows in person and share the research we’re doing at Borealis AI. Most importantly, the event provided a space for everyone to connect with each other. A big motivation for our fellowship awards is the continuation of our fulfillment to support students across Canada. A foundational aspect of this support is to nurture a spate of networks, where researchers can exchange ideas, form fruitful partnerships, and continue our national leadership in the AI space. So much of our success in the field stems from Canada’s supportive academic culture. It’s just who we are. For every brilliant graduate, there are a host of advisors and mentors who drew out the best in them along a challenging and competitive path. True to form, Professors Ioannis Mitliagkas, Reihaneh Rabbany, and Jackie Cheung came by to support the winners. “We’ve been a pioneer in machine learning and AI, largely due to smart investments by public funding organizations. It bodes well for the future to see industry join in this effort to help sustain our research community,” said Prof. Mitliagkas, who came to support his new graduate student, Alexia Jolicoeur-Martineau. After a tour of our research centre, a catered lunch and an opportunity to meet the Borealis AI Montreal research team, we ended on a high note, with some of our guests hanging out at the lab well into the afternoon. With new friendships forged, we look forward to seeing what direction our outstanding fellows bring to Canada’s research community.